A couple of years ago I helped a friend of mine with her kitchen remodel. I helped her with the beginning stages of the design (the layout and general ideas) and then encouraged her to call a kitchen designer to help her with the bulk of the job. 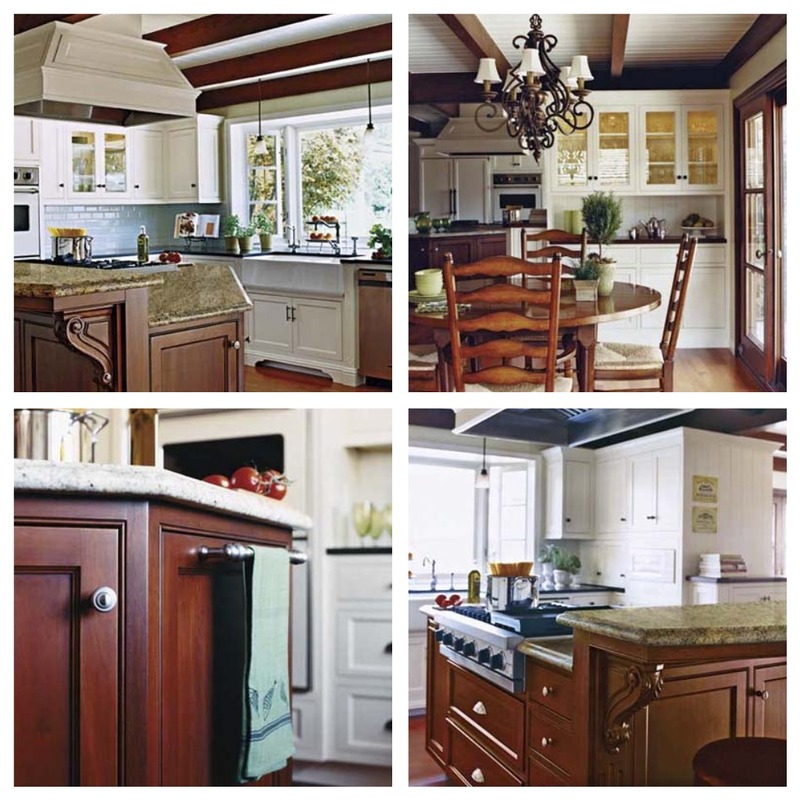 When they were finished with the cabinet design, appliance selection and installation, I came back and helped her with materials selection (granite, lighting, cabinet hardware). 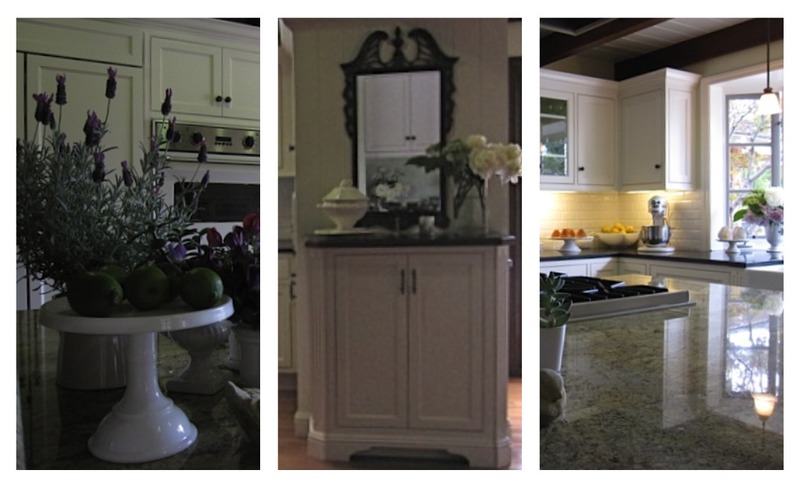 The finished kitchen is gorgeous and a dramatic change from where it started. You can read more about the kitchen makeover here. 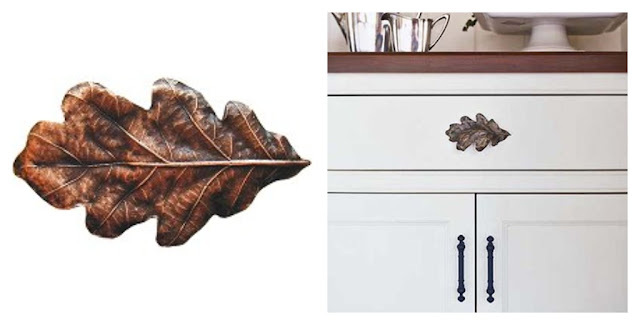 One of my favorite details are leaf knobs we found for the built-in hutch in the dining room. They are more beautiful in person and really exemplify who the client is. 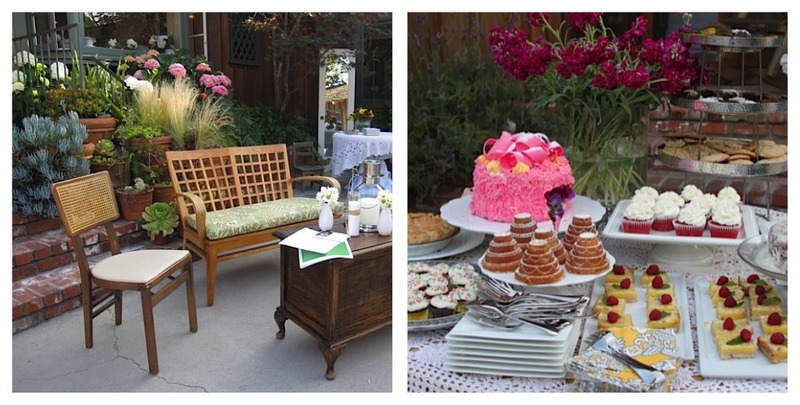 Last week I dropped by to style the kitchen for a wedding shower she was hosting. The best part was that we used primarily things she already had around the house and in her garden. She wanted it to be simple and fresh. We used fresh fruit, potted flowers, cuttings from her garden (pink and white hydrangeas, sweet peas and lavender) and bunches of white peonies she had picked up the day before (see my post about how much I love white peonies here). Because my schedule has been so busy and I was hurrying off to another job I forgot to take photos which was disappointing because the house looked beautiful. I received these photos (and a lovely thank you) in an email from her after the shower. The shower took place on her patio and she set up the outdoor area herself. Didn't she do a great job? Oh, my friend!!!! This is amazing! I love her kitchen. What about the ceiling??? Gorgeous. Wishing you a Blessed Week, Sherri! I love the leaf knobs ~ they are so original!! Oh holy cow. What a transformation. 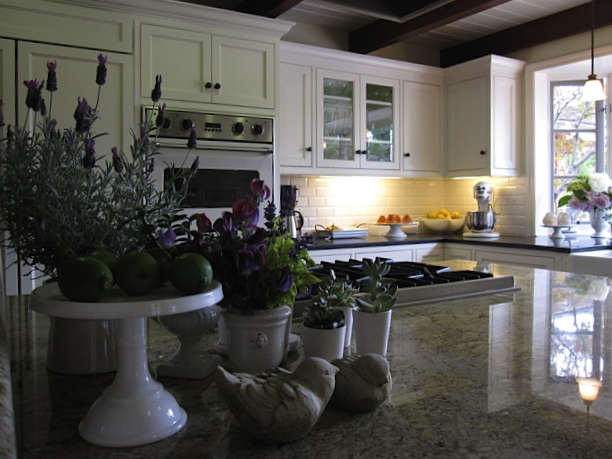 Gorgeous kitchen....I love all of the natural light. 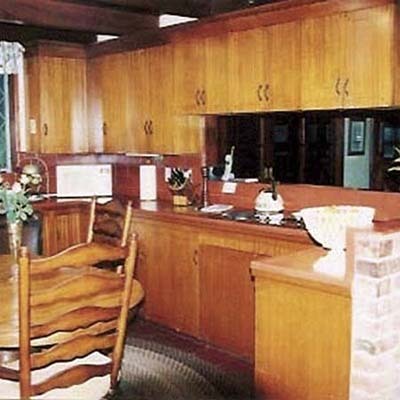 The kitchen looks fabulous...I just loved the leaf knobs! And the outdoors look so lovely and inviting! WOW!! What a transformation. I love white cabinets. It looks very pretty. And that patio is lovely!